Spectators witnessed another sublime swim by Matthew Wilson in the Men’s 200m Breaststroke at the SA Aquatic & Leisure Centre on night two of the 2019 Hancock Prospecting Australian Swimming Championships. 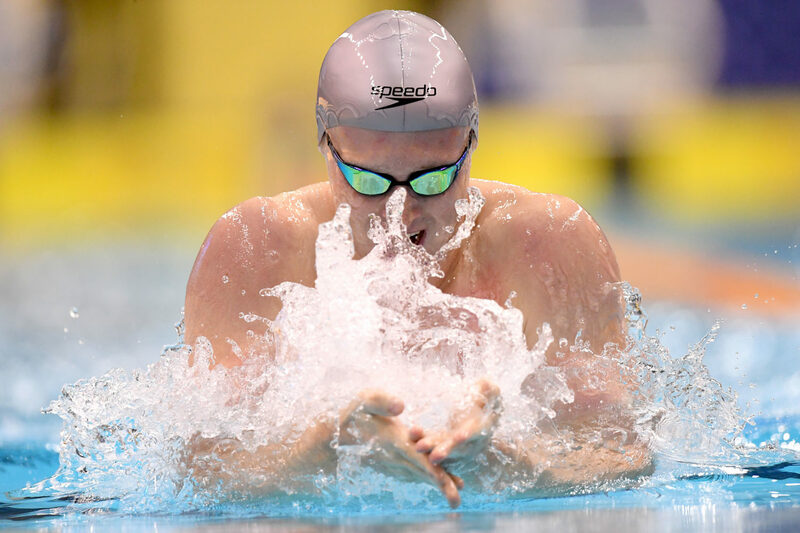 Touching with a time of 2:07.16, the NSW Institute of Sport athlete set a new Commonwealth and Australian record to secure the gold in front of young gun Zac Stubblety-Cook (West Brisbane) who registered 2:08.38, and Samuel Williamson (Firbank Aquastars) with a time of 2:13.09. Speaking after the race, Wilson surprised himself with his performance. “When I turned around and saw 2:07.16 I had no idea I could do that. I was expecting a 2:08 mid because I did that at States a couple of weeks ago and I’m probably at the same point in my training, so to pull that out was just unbelievable,” Wilson said.